The baseball player pictured above is named Matt LaChappa. As of this writing, LaChappa is a free agent — that is, he’s not under contract with any of the 30 Major League Baseball teams. That he’s unsigned isn’t all that unusual given his age and lifetime stats. LaChappa is 41 years old right now; had he pitched in the Majors last year, he would have been the 6th oldest in the league. But he didn’t pitch in the Majors last year. In fact, LaChappa never made it to the Majors at all — his three-year pro career topped out in the low minors more than two decades ago. Given that, you’d have no reason to think that he’s going to sign a pro contract anytime soon. But if prior history is any indicator, sometime in the next few weeks, the San Diego Padres will sign LaChappa to a minor league contract — just like they have every year since 1996. 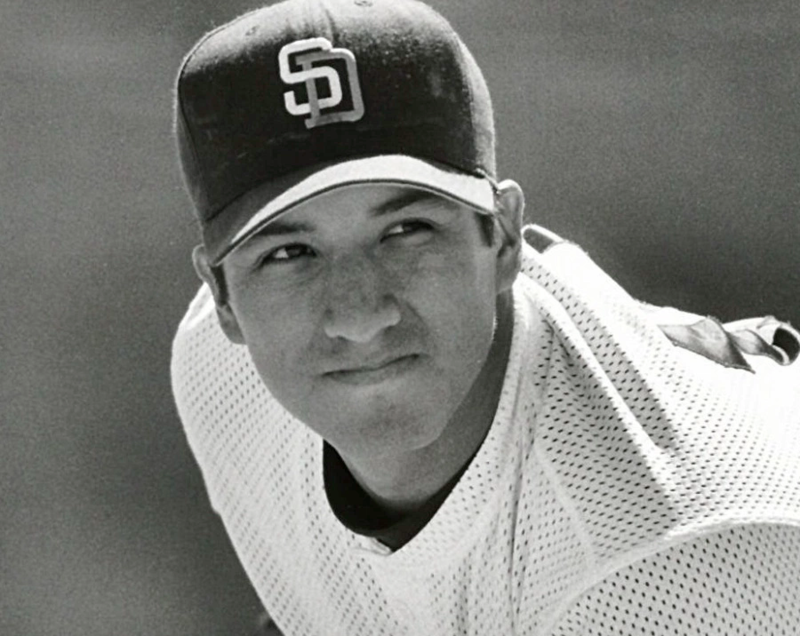 When the Padres drafted LaChappa in 1993, they had high hopes for the local-born left-handed pitching prospect. His minor league career, though, started off rocky, and after the 1995 season, the team decided to try him as a relief pitcher instead of as a more important (and more glamorous) starting pitcher. In April of 1996, LaChappa was to make his relief debut. He was taking some practice throws off on the side — “warming up in the bullpen” in baseball parlance — when something went wrong. As the Orange County Register recounts, LaChappa “clutched his chest and fell to the ground.” LaChappa was having a heart attack, caused by an undiagnosed virus around his heart. The team trainer administered CPR, an ambulance rushed the pitcher to the hospital, and when he arrived there he had a second heart attack. LaChappa survived but would never be the same. His father would later tell MLB.com that Matt “can talk, he can kick, he can speak, but it’s slow. There’s rigidness, stiffness and he’s unable to walk.” At age 20, his career was over, and that was a major understatement. It was unlikely that LaChappa — who was facing a lifetime of exorbitant medical bills — would ever be able to work again, in any capacity. Each year, [the Padres] have re-signed him to a basic minor-league contract, [ . . .] not only providing him with some much-needed cash but, more important, allowing him to maintain his insurance so he can continue to receive quality care. Bonus fact: In 1974, Ray Kroc — the entrepreneur who made McDonald’s a household name — and his wife Joan bought the San Diego Padres. After Ray died in 1984, Joan tried to donate the team to the city of San Diego, but, per Wikipedia, was rebuffed — Major League Baseball wouldn’t allow it. The league rules prohibit public ownership of baseball teams. From the Archives: One Spud, You’re Out: The best baseball story ever told. Involves very little baseball and a lot of starchy vegetables. Well, one starchy vegetable. Related: A Rancho Cucamonga Quakes hat, the team LaChappa played for in 1995 and on that evening in 1996.